480-456-8888 | Find Out The Benefits Of Hiring CAM Control! With The Belief That, “Knowledge Is Power,” CAM Solutions Has Been Equipped With A State-Of-The-Art Application Which Allows For The Most Efficient Scheduling Of Services By Automating Business Practices. This System Provides Real-Time Dispatching To The Vehicles And Field Technicians Throughout The Day To Provide Maximum Fleet Efficiency And Work Toward Providing The Most Accurate Routes. With The Use Of This GPS Fleet Management System, We Know The Precise Location Of Every Vehicle In Our Fleet, Allowing For Wise Dispatching Decisions That Optimize Service Performance. To Enhance Customer Service And Distinguish CAM Solutions From Other Service Companies, CAM Solutions Seeks To Provide Consistently Upgraded And Advanced Technology. As One Of The Most Unique Enhanced Detail Services, We Provide Photographic Documentation Of Our Customers’ Properties. This Is An Added Technology That We Feel Provides Reassurance To Our Valued Customers And Helps To Ensure Customer Satisfaction While Providing Enhanced Documentation To Support The Quality Of Our Services. Each Photograph Is Stamped With The Date, Time, And GPS Location To Provide Our Customers And Our Office Personnel With Up-To-Date Information On Each Property As Well As Documenting Any Issues To Be Reviewed. ​​CAM Solutions Has Enhanced The Customer Experience And Brought It To A New Level By Allowing Each Of Our Customers Access To Interact With An Account Representative Face-To-Face Via Mobile Videoconference With The Use Of IPads. The Use Of This Modern Technology Assists Our Valued Customers In Obtaining An Immediate Response To Questions About Their Property While A CAM Solutions Crew Is On-Site. ​​CAM Solutions Is The Single Source Solution For All Of Your Property Needs With Our Comprehensive Approach To Managing Your Property. We Have Set The Bar For Commercial Property Maintenance With Our State-Of-The-Art Electronic Signature System. With This Innovative Concept, Every Visit To Your Property Will Result In An On-Site Electronic Customer Signature To Indicate The Date, Time, And Location Of The Visit Completed Conveniently Through Our IPads. We Do This To Ensure Customer Satisfaction With Every Visit. 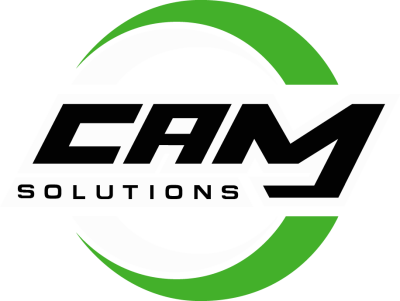 CAM Solutions On-Site Field Supervisors Are Highly Experienced And Skilled In All Areas Of Landscape Maintenance And Provide Two Important Features To Our Customers, Those Being On-Site Visits And Quality Control Checks. Random On-Site Visits Are Made To Ensure That Our Service Crews Are Providing The Highest Level Of Work At All Times. On-Site Field Supervisors Perform Scope Of Work Checks On All Properties. They Look For Any Service Mistakes As Well As Attempt To Bring Attention To Any Potential Future Risks On Our Customer’s Properties.